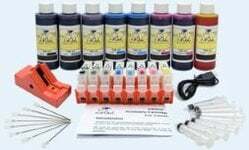 This InkOwl-brand laser refill kit contains all you need to refill your SAMSUNG CLP-310, CLP-315, CLX-3170, or CLX-3175 printer's CLT-C409S, CLT-K409S, CLT-M409S, and CLT-Y409S cartridges. 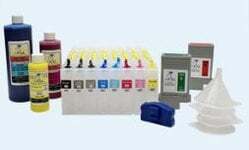 This InkOwl-brand laser refill kit contains all you need to refill your SAMSUNG CLP-310, CLP-315, CLX-3170, or CLX-3175 printer's cyan cartridge. 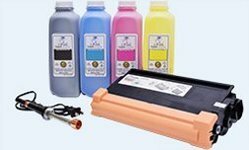 This InkOwl-brand laser refill kit contains all you need to refill your SAMSUNG CLP-310, CLP-315, CLX-3170, or CLX-3175 printer's magenta cartridge. This InkOwl-brand laser refill kit contains all you need to refill your SAMSUNG CLP-310, CLP-315, CLX-3170, or CLX-3175 printer's yellow cartridge. 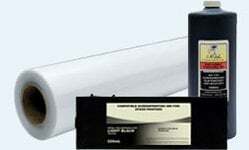 This InkOwl-brand laser refill kit contains all you need to refill your SAMSUNG CLP-310, CLP-315, CLX-3170, or CLX-3175 printer's black cartridge. This smart chip is required for a refilled SAMSUNG CLP-310, CLP-315, CLP-3170, or CLP-3175 printer's cyan cartridge to function properly. This chip is already included in our toner refill kits. This smart chip is required for a refilled SAMSUNG CLP-310, CLP-315, CLP-3170, or CLP-3175 printer's magenta cartridge to function properly. This chip is already included in our toner refill kits. This smart chip is required for a refilled SAMSUNG CLP-310, CLP-315, CLP-3170, or CLP-3175 printer's yellow cartridge to function properly. This chip is already included in our toner refill kits. This smart chip is required for a refilled SAMSUNG CLP-310, CLP-315, CLP-3170, or CLP-3175 printer's black cartridge to function properly. This chip is already included in our toner refill kits. This InkOwl-brand laser refill kit contains all you need to refill your SAMSUNG CLP-310, CLP-315, CLX-3170, or CLX-3175 printer's CLT-C4092S, CLT-K4092S, CLT-M4092S, and CLT-Y4092S cartridges. This cartridge is compatible with original SAMSUNG CLT-K409S cartridges. This cartridge is compatible with original SAMSUNG CLT-C409S cartridges. This cartridge is compatible with original SAMSUNG CLT-M409S cartridges. This cartridge is compatible with original SAMSUNG CLT-Y409S cartridges. This cartridge pack is compatible with original SAMSUNG CLT-C409S, CLT-K409S, CLT-M409S, and CLT-Y409S cartridges.